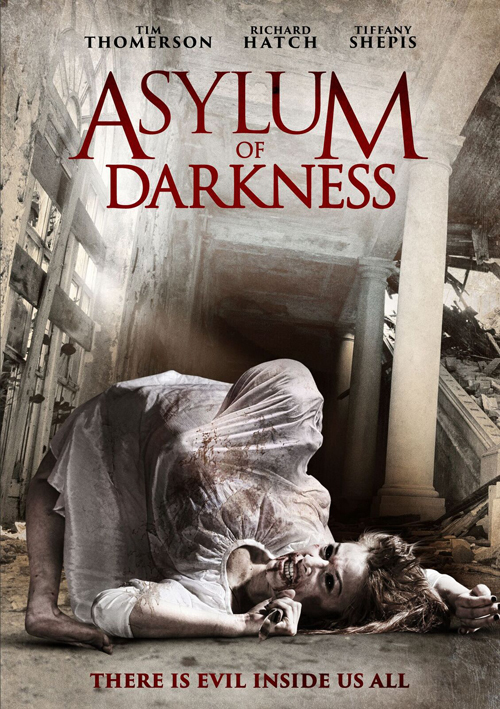 From Jay Woelfel and Wild Eye Releasing comes Asylum of Darkness – a beautifully dark and horrifying trip into a battle between sanity and insanity via a David Lynch/David Cronenberg-esque gorefest. 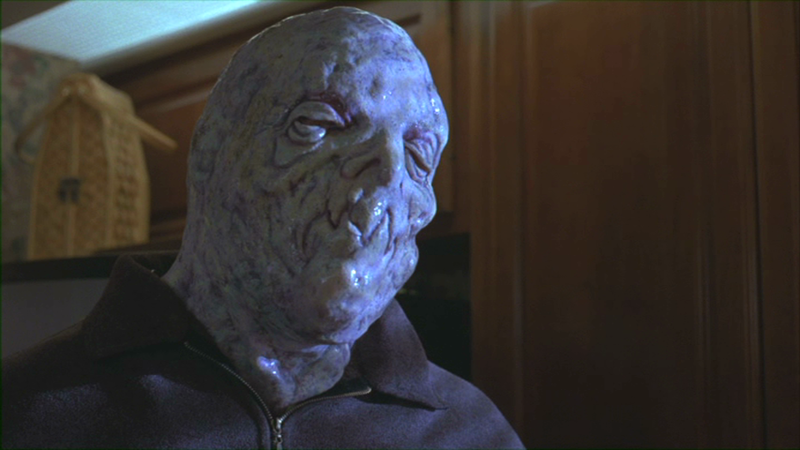 An all-star cast leads us into the world of the weird, including the late Richard Hatch (Battlestar Galactica), horror favorite Tiffany Shepis and the legendary Tim Thomerson. Nick Baldasare plays the deeply conflicted lead character of Dwight Stroud. Basically, this film is one in which nothing is as it seems. I guess that’s fitting, as sanity is the overall theme of the story, whether fighting to keep it or losing it altogether for the sake of survival. I won’t bog you down with details as to what happens, because so much happens within Asylum of Darkness, that I probably couldn’t do it justice even if I tried. I will say that I really enjoyed this movie more than I thought I would. Even though this is a nearly two-hour long movie, it kept my attention for the entire time and never got boring, slow or stale. It had the feel of one of those epic late-‘70s/early-‘80s late-night movies that I used to watch with my dad when I was a kid. I believe I read that it was filmed entirely on 35mm, and it’s just really fantastically done. I’d go so far as to describe it as eyegasmic. What’s also eyegasmic are the effects in this film. Highly influenced by horror classics such as The Evil Dead, the gore factor is absolutely and gloriously brilliant. Before I go on, I must tell you, Asylum of Darkness includes one of the most gory, explicit, blood-soaked business meeting scenes I think I’ve ever seen, and that’s saying something. It was extremely satisfying to this horror fan. I literally stood up and applauded the scene once it ended. Again, I enjoyed this entire film very much. It’s weird as hell. It’s bloody enough to make the whoriest of gore whores happy. As stated earlier, the runtime is nearly two-hours long, but the story is solid enough that it doesn’t feel like it’s that long at all, and you want more after it ends. The only slight complaint I have is that while the acting is spot-on for the most part, it tends to be a bit stiff in a few scenes, but it doesn’t take anything away from the overall feel of the film in general. Asylum of Darkness is just a damn good movie. You can currently find it on Amazon Video, so pop some corn and cozy up for a fun ride. Thanks Barb: We all worked hard on this film and appreciate your time and of course enthusiasm. Writing the film I really felt too few horror films actually try to be anything other than what’s been done to death a million times before. Your review comes at a good time as the film gets is DVD rental release starting June 13th through RED BOX and FAMILY VIDEO. The dvd includes 20 minutes of extras, which are deleted scenes and a short doc on it’s production. Thank you so much for your response! It really was an absolute pleasure watching your film, and I will definitely recommend it to my friends. I’m excited to rent it for the deleted scenes and the documentary! I look forward to seeing more from you, Jay! You’re welcome. For a little about the background of the film and stills you, and anyone else reading this can go to my website at this link. 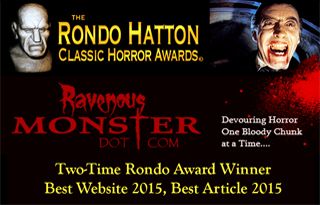 Of course my site covers all my films for those interested in more. Fantastic! Thanks for sharing the link, Jay.